New York's state assembly recently passed a bill that bans tourists from taking photos with big cats, an industry that subjects the animals to a life of misery and confusion. The ban, which took effect Feb. 7, makes direct physical interaction between people and big cats illegal. It is a monumental move in the battle against animal cruelty. "New York's new law is a vital measure that will protect animals and people," Priscilla Ma, US Executive Director of the World Animal Protection organization. "Wild animals belong in the wild, and we applaud the New York State Assembly for passing this tremendously positive measure that we hope will inspire other states to enact similar laws." This bill deals a huge blow to the industry, which has become a growing trend. Recently, model Cara Delevigne and singer Beyonce were criticized for posing with captive wildlife by animal rights activists. Not only does having direct contact with wildlife pose a threat to people, due to unpredictable or frustrated behavior of the animal, but the process of raising a "tame" wild animal is in itself cruel. Lions, tigers and other big cats are often bred for this sole purpose, and taken from their mothers as cubs. Many of these big cats had their canine and claws removed, to make them "safe" for tourists to handle. This process requires surgery and a painful recovery. Linda B. Rosenthal of the New York State assembly, prime sponsor of the bill, said, "Wild animals, despite how adorable they may appear when cubs, are still wild animals, and pose a real danger to the public. "In addition to that risk, the wild cats live in deplorable conditions and are treated cruelly for the duration of their lives. The worldwide and overwhelmingly positive response has made clear that it is an idea whose time has come. 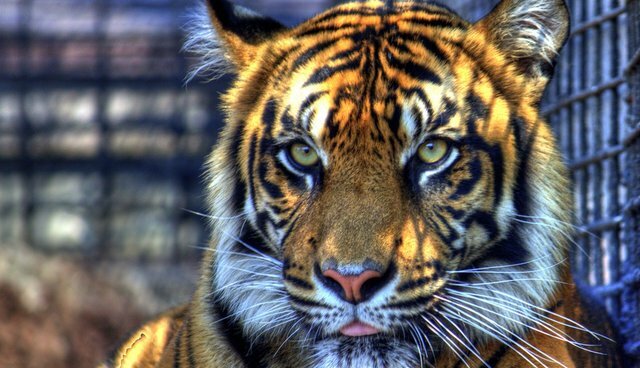 This law will go a long way to improving the conditions of the captive big cats statewide, and I would encourage other states to follow New York's lead." If you would like to join in the fight to end animal cruelty, you can visit the Before They Book campaign site to learn more and find out how you can help.